Apple Goes Up After Carl Icahn Buys A Large Position. Apples Stock Price Goes Up. Apple goes up after Carl Icahn buys a large position. Billionaire activist investor, Carl Icahn recently gazed on Apple Inc. stocks, which at present remain at 30 % below its peak level of $705.07, reached 11 months ago. Icahn feels that he can help Apple CEO, Tim Cook, revive the company’s stock price. This outspoken billionaire had announced via his Twitter account, Tuesday – that he had acquired a large position but an unspecified stake in the company. The activist billionaire had been announcing his erstwhile investment moves via Twitter, including his battle with Dell’s privatization – with him leading the mutiny against Michael Dell, who intends to buy the company . Using his 9% stake in Dell as leverage, Icahn has been locked in a bitter fight with Dell and allies, which resulted in the former raising their offered price from $24.4 billion to $24.8 billion. In a related news, it has been proposed that large investors disclose their investment stakes for greater transparency. Apple, which has reportedly been able to get a total cash hoard of $146 billion plus as of June this year, had been pressured to do buybacks Of its stocks from shareholders. This came about as a result of a slowdown in sales and declining earnings. All these factors lead to the downward spiral of the company’s market value for the first six months of the year , as compared to its peak of above $700 in late September last year. Apple began its buyback operation last year, with $10 billion worth of stocks and was boosted further by another $60 billion on April 23 this year. Management has not made any communications if another buy back is in the works. With these recent developments, Apple’s shares are picking up lately – reaching 18% since last July in anticipation of Apple’s new product launches this fall. The stock on its own, have gained strength – which saw it rise above its 200 day moving average, even prior to Icahn’s announcements on Twitter. 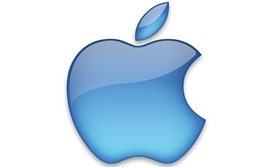 A report came out of All ThingsD Technology blog that Apple’s new iPhone will be unveiled on September 10. It was also reported in the Wall Street Journal that Apple will soon release its new large iPad with the same thin and lightweight features as that of the iPad mini. Market watchers expect the new iPads to be out of the market in October. Apple’s entanglements with activist investors are not isolated cases. Earlier, the company came into battle with Greenlight Capitals, David Einhorn. Einhorn pressed Apple to issue a new preferred shares of stock as a means of returning the company’s large cash hordes to its stockholders .Apple goes up after Carl Icahn buys a large position, let's see if Apple can keep going up.